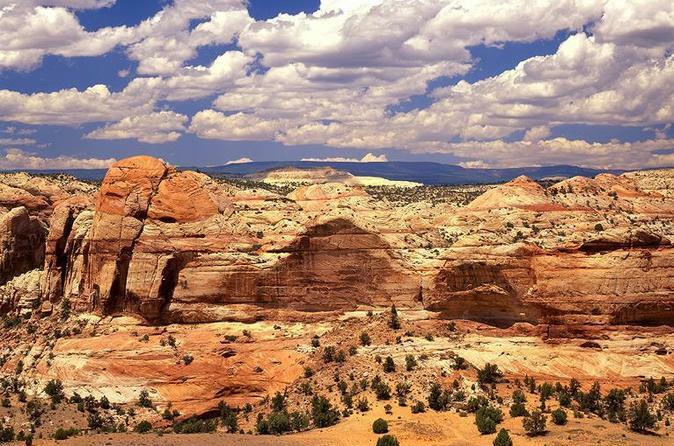 If your travel plans include a trip to Kanab, Utah, leave the driving to someone else and enjoy the ride. This daily shuttle service between Las Vegas and Kanab departs early in the morning arriving arriving 10am allowing you lots of time for sightseeing. Return transfer to Las Vegas arrive around 7:30pm based on local traffic conditions. This transfer is a great option if you're planning a trip to Kanab, Utah where you can enjoy lots of outdoor activities such as hiking and off-road tours. Transfers departing Las Vegas will leave at 6am arriving around 10am in Kanab leaving you the rest of your day for exploring. You can schedule your return transfer for the same day or a future date. Return transfers leave Kanab at 4:20pm local time, arriving in Las Vegas around 7:30pm depending on local traffic. Transportation is by air-conditioned coach with room for luggage.